After Lucknow, Ahemdabad it is Patiala now where people bet on Kite Flying and the stakes are as high as Rs 5 Lakh. Yes, 5 Lakh. 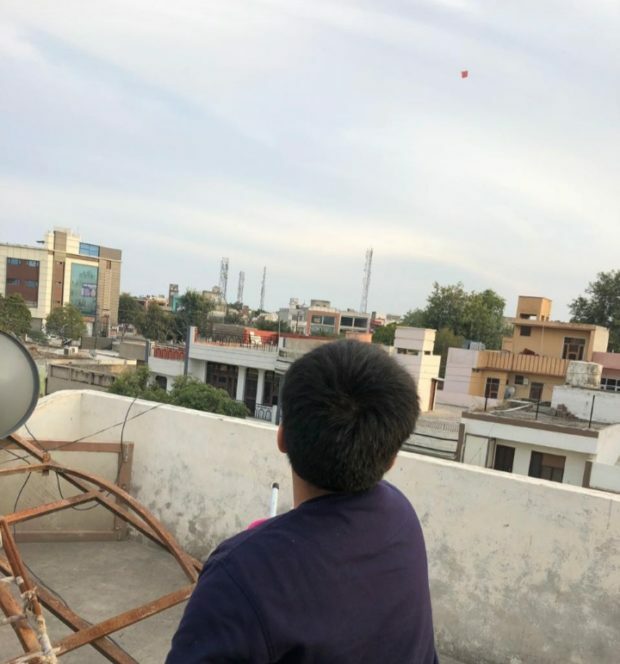 There is High stakes on Kite Flying in Patiala on Basant Panchmi. ” There have been a time when we missed kite flying scenes in Patiala Sky, now ever since the anteenas of DD era are out and there is new twist of betting on Kite flying; sky is full of Kites”, said Mohan Kamboj of Jaurian Bhattian of Patiala. It is no more a hobby now. The stakes are really high, one of my friend just have won Rs 60,000 while betting on a kite that it will be cut in next 1 minute. and Guess what it got cut near Polo Ground. There have been people applauding shouting on this, said Akash Garg whose friend have won the Bet. With huge gatherings planned across the city on Basant Panchmi, it’s time for the bookies to get into action and place bets on each kite that flies in their vicinity. “Patang da shauq koi chhota-mota nahi hai, we invest upto `5 lakhs on a bet as to who will cut a fixed number of kites first, when two groups are playing a match,” shares Raman Singh*, a patangbaaz who flies kites at Factory Area. On other hand, I fly kite to practice and have a good time, but on festivals like today and after Makar sakrankti, I fly kites to earn money. Bets are also placed on who will cut the maximum number of kites of a group. A person’s kite flying skill comes into serious play here and those skilled at it are in the reckoning for higher bets placed on them later. But betting such big amounts doesn’t come without risks. There have been instances, according to the patangbaaz and bookies, when the game has led to violence. Rohit*, a patangbaaz is one such who paid a huge price for not being able to pay the betting amount in full. “I had placed a bet of two lakh rupees because I was confident of my skill in kite flying. But kismat kabhi bata ke toh kharaab hoti nahi hai. I lost the bet and couldn’t pay the whole amount at that time. The winner then put a gun to my head and demanded that I pay the remaining amount then and there. When my friends and others intervened, he agreed to let me pay the rest of the money within a week. I had a terrible time getting that money arranged and since then I have stopped betting in patangbaazi,” swears Rohit. *Changed Name of Patanbaz Rohit. Taruni Gandhi is a Versatile Journalist. She is an ace writer and have experience of more than a decade. Writing on Health, Human Interest Subjects and environment is her forte.